Home / Warmup is 25! It’s been 25 years since Warmup started making Kiwi homes warmer, drier and healthier by installing underfloor heating. We strongly believe in the quality of our products and services and offer guarantees ranging from 5 years to a lifetime. 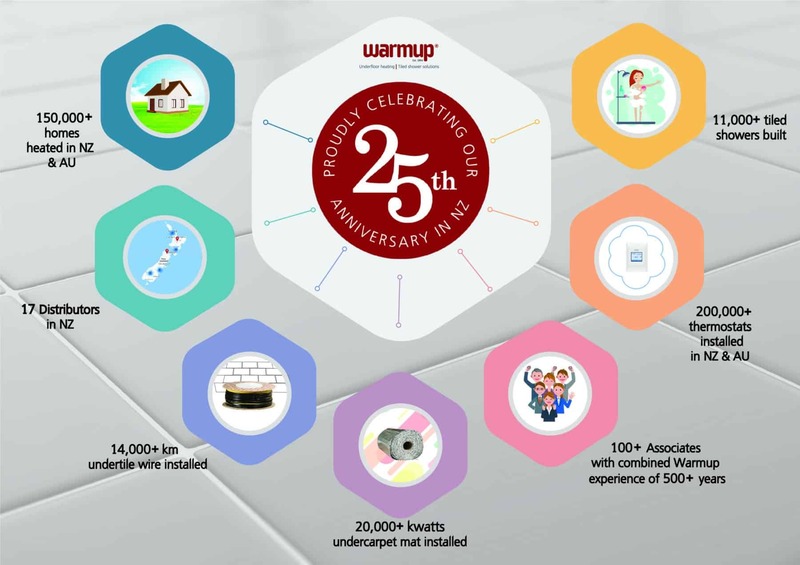 In fact, Warmup was the first company to offer a lifetime warranty for its undertile heating. On our 25th Anniversary, we would like to share our results. We think they are awesome!